Principle Construction wins its 3rd CBC Merit Award! 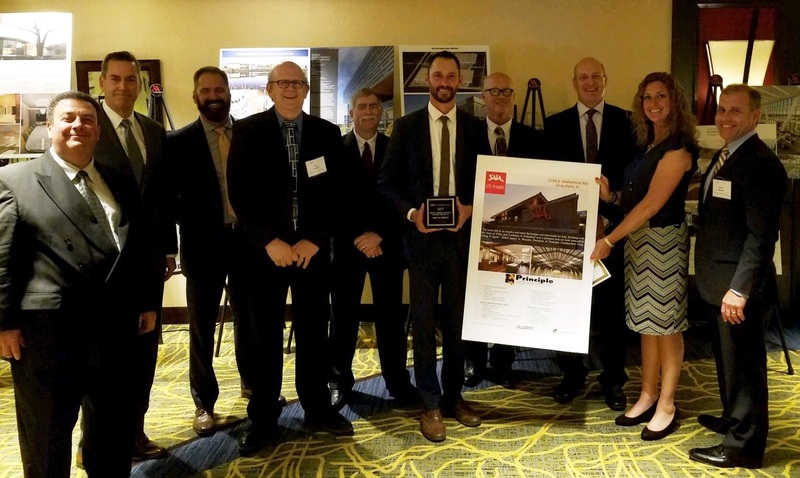 Principle Construction Corp. most recently distinguished itself by winning its third Chicago Building Council Merit Award. This year, the team won project of the year in the category of Industrial Construction for its Saia LTL Freight project in Grayslake, IL. These awards which Principle won in 2017, 2013 and one in the Rehab Construction category in 2005, honor outstanding projects in the Chicagoland area. Principle received this 2017 award due to the distinctiveness of the building, its functionality and high quality. The project was also noted for its positive impact on the community and stellar safety record. 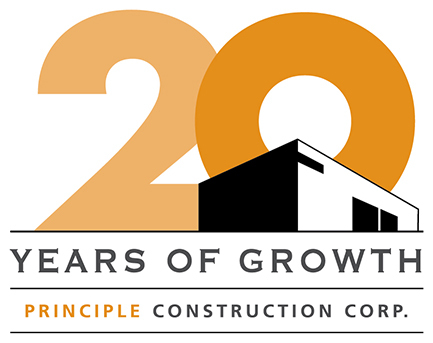 Principle Construction and the entire team is honored to win such an award. “We were able to be creative and meet the budget and time frame for Saia. Working with the team at SAIA and Cushman & Wakefield was a pleasure and we look forward to doing it again,” stated James A. Brucato, President of Principle Construction Corp. The project included two new buildings totaling 71,360 SF, completed from the ground up on 33 acres of land at 2260 S. Midlothian Road, Grayslake, Illinois. 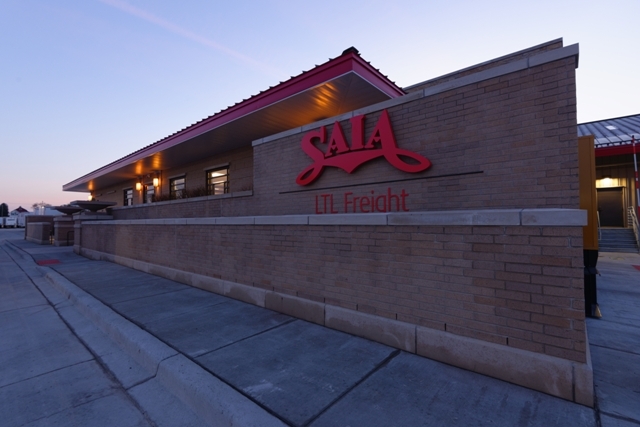 Saia is a multi-regional less-than-truckload (LTL) carrier that operates 148 terminals in 34 states. The cross dock/administration building is 51,960 SF, 16’ clear height pre-engineered structure that features 100+ truck dock locations, and 9,560 SF of office space. The masonry building exterior and office interiors were designed in the Prairie School style so as to be in harmony with the surrounding land. The shop/maintenance building is also a pre-engineered structure, with masonry veneer that features 16’ clear height and 19,360 SF of shop and maintenance space that also includes six trailer service bays, six tractor service bays, two wash bays, air/lubrication dispensing systems, two mezzanines, and an adjacent fueling facility. Site Improvements included an automated snow scraper, certified truck scale and parking for 94 automobiles, 294 trailers, 34 tractors, and 30 dollies. Also included are block heater stations for 62 tractors. In order to meet budgetary constraints, Principle Construction, Pearson, Brown & Assocs., and Castles Design used innovation and resources to plan, design and execute efforts to maintain project costs. After an extensive value engineering process it was determined the structure would be pre-engineered instead of pre-cast. Taking into consideration the current material costs between asphalt and concrete, and their lifetime maintenance costs, it was determined the entire project would feature concrete pavement. Similarly it was determined LED site lighting was best suited for this project over other types of lighting. The most challenging aspect of this project encountered was the two sanitary districts that serve this project being at odds with each other involving fees. This stalemate effectively prevented the off-site sanitary from being constructed and connected to the existing sanitary line. This obstacle was overcome with the installation of an on-site lift station and holding tank. Just before project completion, the remaining sanitary lines were able to be installed after the two sanitary districts came to an agreement. Another challenge encountered was opposition from a neighboring community necessitating raising the height of the berm to 25’ above grade, enhancing landscaping on the berm and project perimeter, as well as revisions to site lighting to a lower illumination level. Other challenges included local recycling ordinances requiring certain quantities of materials being recycled; and unique construction practices and materials were needed constructing drives over an adjacent gas pipeline. 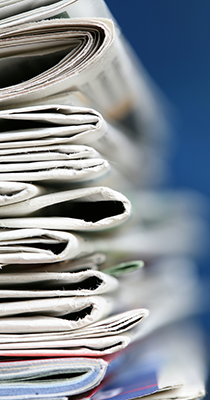 Cushman & Wakefield rode shotgun and coordinated all efforts between both municipalities and both sanitary districts in order to maintain ‘one voice’ speaking on behalf the project. Due to the never ending efforts of Jim Kueck, he was able to shepherd a consensuses between the diverse and opposing views of all parties. When tempers flared, he was the calm voice within the room.